Visiting Tree House Brewing Almost everything you need to know to plan your visit. SATURDAY 11-7 PM CANS & DRAFT PINTS (Last call 6:30 PM for pints). 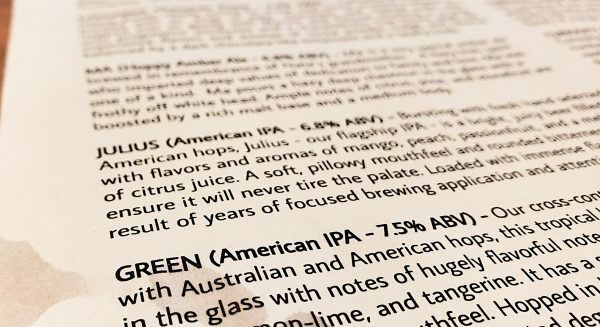 What will be available: Tree House does a great job of posting what’s available at opening with quantities and limits on the “on tap” link on The Tree House Website. 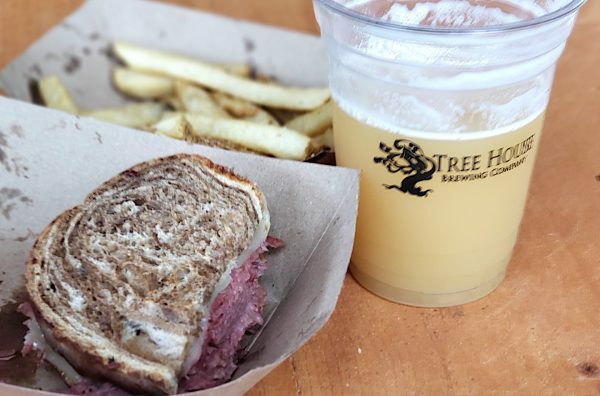 If you follow the Tree House Twitter Page they will post updates about the length of the line, as well as updates on limits and availability. If I’m planning a trip (say) on a Friday, I usually do the daily math. If Julius has 2,500 cases available on Wednesday at opening and they end the day with 1,500, I will guess that by end of day Thursday there might be about 500 left. Anything less than 250, I make sure I’m there at opening. I’ll also note that Tree House will also have “unannounced” releases. Those are not detailed on their website and its usually a surprise on arrival. Someone will correct me, but I’ve seen these typically happening on Fridays. Parking & Lines: The Tree House staff orchestrate your visit with complete perfection. If you arrive before opening, everyone will be directed into the lower lot. The staff will direct you to line up in the order you have arrived. When the upper lot is ready to receive you (about 20 minutes before opening time), you will proceed in single file to the top lot in the order in which you arrived in the lower lot. The line begins with the car in the upper left hand side of the lot and proceeds row by row from left to right. It’s very orderly. The upper lot is managed by staff and you’ll park in the same order. If you arrive after opening, access to the top lot is managed by the staff, if there are spaces they will send you to the top lot, if not, you’ll be asked to park in the lower lot. Tree House operates a shuttle bus and moving from bottom lot to top lot is fairly easy (except carrying your haul). My suggestion is to have the driver of your car ride the shuttle and get the car. You may have to ask to drive up to the upper lot. At opening, there really isn’t a race to get in line and everyone pretty much ends up where they were in the queue of cars. About 15 minutes before opening, a member of the Tree House will make general announcements about what is available, the limits, rules, draft process (if available), food trucks (on Saturday) and more. Don’t worry, as they work their way up the line and repeat the announcements. Choosing your beer: If you arrive at opening, someone will walk up the line with cards and pencils so you can make your selections. If you miss this part, the cards and pencils are usually positioned at the door at the front of the line. You present your card and your order is filled. You also have the option to add drink tickets if they are offering pours (Tuesday night, All Day Saturday and on some evenings when can sales are slow (check Twitter for these one-off draft announcements). 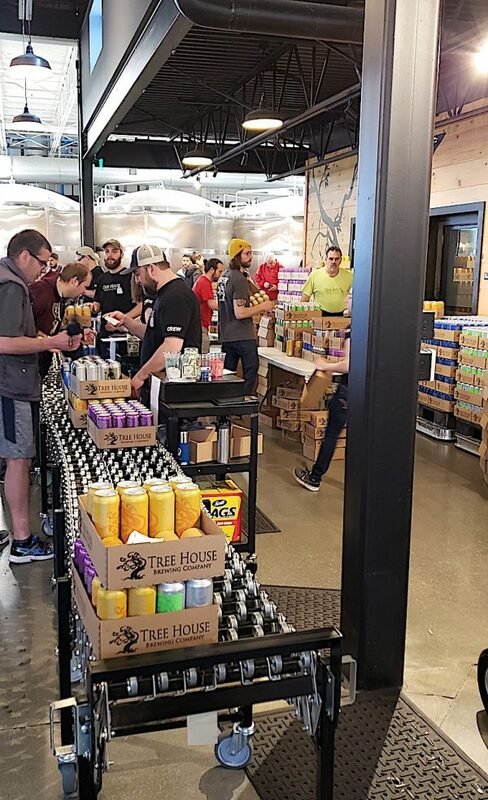 Managing your haul: When visiting Tree House Brewing, the excitement of buying mass quantities of awesome beer soon turn into, “how the hell do I get this to my car?” I saw a number of people borrowing brewery handcarts. I bring a foldable luggage carrier that can handle about four cases (Walmart, $20). I’ve also seen people with foldable wagons. If you plan on buying more than you can carry for 100 yards, make plans. On Site Drafts: This is a bit complicated. They put their beer in 3 different price classifications ($6, $7 & $8) and you can only buy two drink tickets per adult. So, if you want a beer in the lower price category and one on the middle category, you will be given two different color tickets. You can pay for your draft tickets in two different ways. One, you can add it to your can order or two, there is a person right at the entrance that sells drink tickets. There is a line that queues for pours. The bar will accept your tickets and mark your hand with an x for each drink ticket you exchange. I made a mistake in that I exchanged one of my tickets and one of my friend’s tickets for two beers while he was buying food. When the time came to get our next drink, the bartender almost refused as I had already had two x’s on my hand. I was lucky and got my Triple Shot. Just keep that in mind. There are two main doors at the brewery. The can line enters through the right side door. If you are there for drafts or hanging out in the tap room, you can enter the door on the left. Food & Music: On Saturday, the brewery has at least two food trucks with a variety of gourmet offerings. They park near the entrance and there’s plenty of picnic tables or seating outside. A recent addition is a wood-fired pizza oven just by the pavilion. They also have live music to add to the cool Saturday vibe. Hotels: I usually drive to the brewery and back to New Jersey on the same day (about 2.75 hours each way). On the same road as the brewery, there is a Comfort Inn. It’s just a couple miles from the brewery. I’ll also note there’s a Cracker Barrel right next to the hotel. Make sure you bring a photo ID, they check everyone. Need Ice? – Stop ‘N Shop about a mile from the brewery. 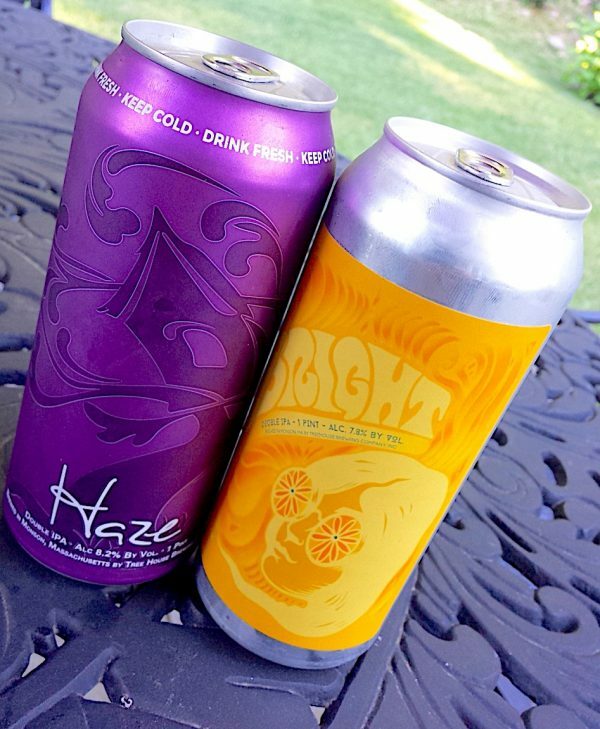 No on-site consumption of canned beers (bring those home with you). Kid and dog friendly environment. Retail space sells branded t-shirts, glassware, hats, frisbees, dog collars and more. Some Recent Tree House Expansion News! Brimfield is host to a huge antique fairs and numerous flea markets during the summer. Please add your own advice on visiting Tree House Brewing in the comments. Enjoy your trip! This entry was posted in All Beers, Odds and Ends and tagged Brewery Visit, Julius, Tree House Brewing by Administrator. Bookmark the permalink. Thanks for the information. Very helpful, especially on the parking. Went last week had a great time. Great place, great people, great beer.